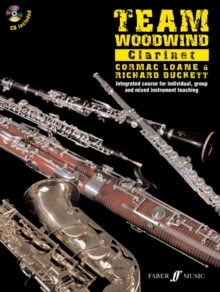 Team Woodwind is firmly established as a leading series of woodwind tutors. Team Woodwind: Alto Saxophone presents a flexible course which can be tailored to suit each student, ideal for individual, group and class tuition - including the ABRSM music medals - and contains plenty of carefully graded music in a wide range of styles, from Baroque and Classical eras to film, folk, jazz and Latin American. 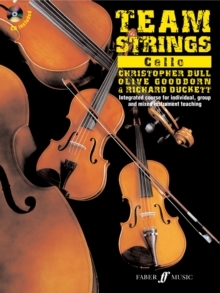 The series encourages ensemble playing with varied repertoire and develops instrument-related aural skills, improvisation and composition. Team Woodwind is available for Flute, Oboe, Clarinet, Bassoon, Alto Saxophone and Tenor Saxophone all of which are compatible. There is also a separate book of Piano Accompaniments/Score. 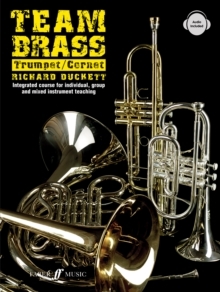 All of the books in the series are fully integrated allowing students using Team Woodwind to play in ensembles with students using Team Brass and Team Strings.